A well-designed and understated sport coupe wtih performance to spare, thanks to a standard turbo four and all-wheel-drive. 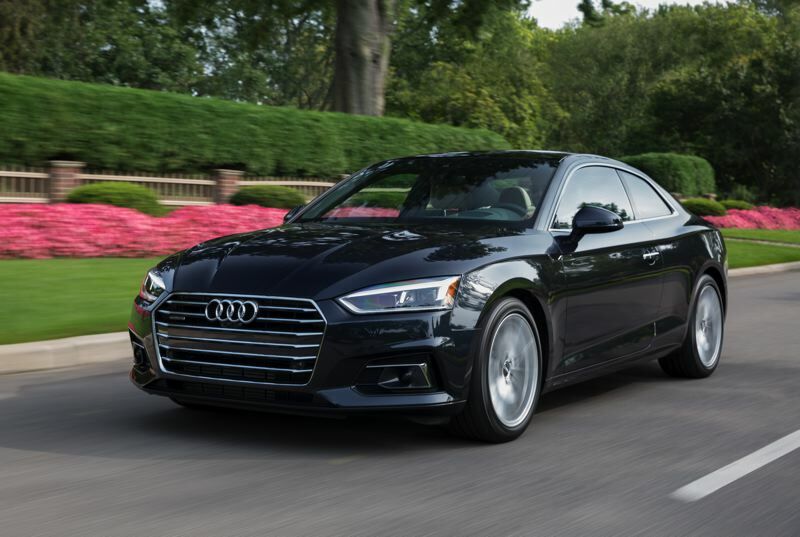 Sport coupes like the 2018 Audi A5 fill a transitional niche in the automotive world. They are primarily for people who feel too grown up for a sports car, but who still enjoy driving and want to look stylish on the road. Despite having rear seats, they are mostly too small and hard to reach for most passengers, meaning the owners are usually too young for families or too old for children to be living at home. If that sounds like you, the A5 is hard to beat. 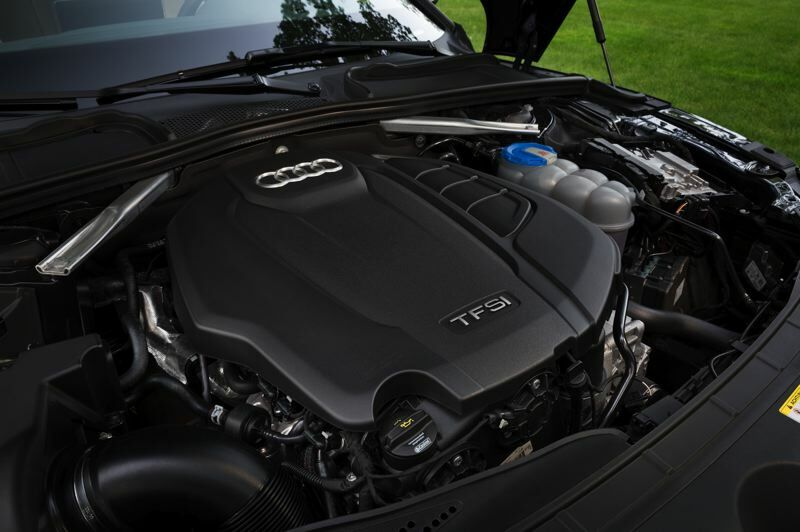 The standard turbocharged 2.0-liter inline four pumps out an impressive 252 horsepower, delivering spirited performance through either a six-speed manual or an S tronic seven-speed dual clutch automatic transmission with both a sport and manual shift mode. The suspension is supple and the standard Audi quatrro all-wheel-drive system keeps it glued to the road. And it can be ordered with enough luxury, infortainment and safety features to please the pickiest buyer. Plus, the 2018 Audi A5 is also available as a convertible, for those who can't quite let go of their longing for a sports car. Trying to figure out the size is a bit of a challenge. I'd call the A5 a compact because the rear seat is so small. But there's plenty of room in front and a surprising amount of cargo space in the trunk. Like a lot of cars (and SUVs) these days, it's blurring the differences between compact and midsize categories, taking advantage of the latest engineering and construction practices to offer the best of both worlds — nible handling and easy parking, but also real room for two adults and a dog. 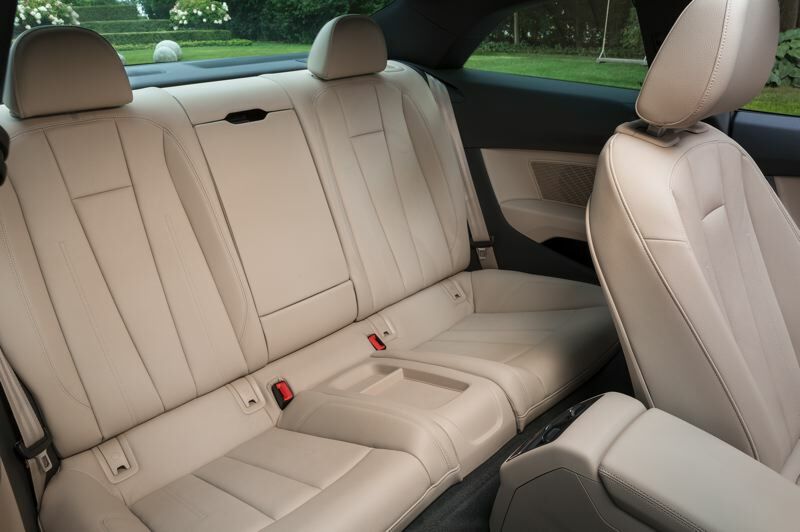 Like all Audi's, the styling of the A5 is refreshingly clean, both outside and inside. The exterior lines are athletic but restrained, suggesting instead of broadcasting its performance potential. The interior is simple but sophisticated, offering a low and thin dash with many of the adjustments operated through a upright dispaly screen controlled by a large knob on the console. I'm a little puzzled by Audi's current TV ads, which present their vehilces as head-turners. While that's true for the sporty TT coupe and outrageous, R8 Spyder, I've always thought the rest are intentionally more understated — you have to drive them to realize how good they are, which is why someone would choose an Audi over an equivilent BMW or Mercedes, which might be considered more prestigious. So if a sport coupe fits your needs these days, the 2018 Audi A5 should definately be near the top of your shopping list — especially if you value design and engineering over attention seeking.